Baseball is a game of inches and Jonathan Willems found that out to his benefit on Tuesday night. 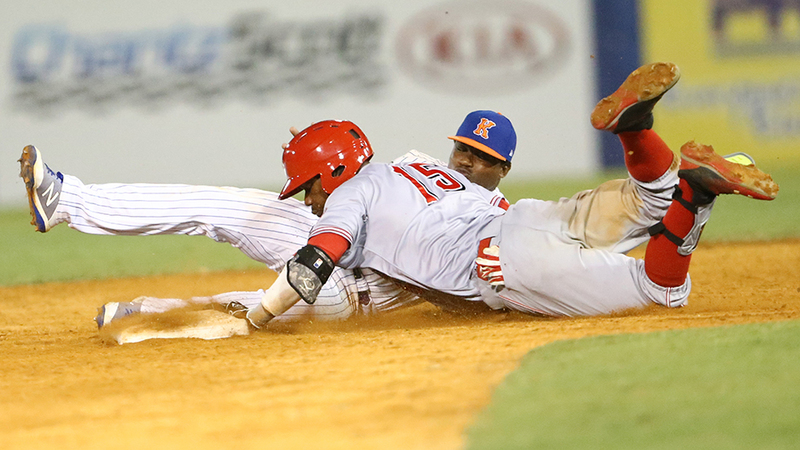 The Reds prospect beat out a double in the eighth inning to complete the cycle and his first career four-hit game, but Rookie-level Greeneville dropped a 13-12 decision to Kingsport at Hunter Wright Stadium. Willems matched his career high with three RBIs and scored three times while becoming the first Greeneville player to cycle since Connor MacDonald on June 29, 2016 when the club was affiliated with the Astros. The 19-year-old infielder slugged a first-inning homer to left field and grounded into a double play in the third. He plated Jonathan India with a triple to right in the fifth and scored on a wild pitch, then drove an RBI single to right and scored in the Reds' seven-run seventh to set the stage for his historic hit. With one out and nobody on in the eighth, Willems stroked a base hit to left and raced toward second. He barely beat the throw from Guillermo Granadillo to complete the 15th cycle in the Minor Leagues this season and the first in the Appalachian League since Burlington's Oliver Nunez last Aug. 22. Willems is batting .348/.387/.623 with 10 extra-base hits, 17 RBIs and 12 runs scored in 16 games, including nine multi-hit efforts. Signed as an international free agent out of Curacao in 2015, he began his professional career in the Rookie-level Dominican Summer League squad the following year. He made his stateside debut in 2017 and hit .234/.390/.281 in 23 games in the Rookie-level Arizona League. Robert Boselli, a 37th-round pick in last month's Draft, hit his first professional homer and 21st-rounder Hunter Oliver delivered an RBI double among three hits for Greeneville. Playing in his first game since a promotion from the Rookie-level Gulf Coast League, Mets first-round pick Jarred Kelenic homered, singled and drove in a career-high four runs. The 18-year-old has seven multi-hit efforts, two homers and 13 RBIs in 13 games as a pro. Luis Santana collected three hits, including a homer, and three RBIs, while Granadillo reached safely five times on three hits and two walks. He also drove in two runs and scored twice. Yoel Romero's third hit was a walk-off homer leading off the ninth. The clubs combined for 29 hits -- 11 for extra bases -- and 14 walks.